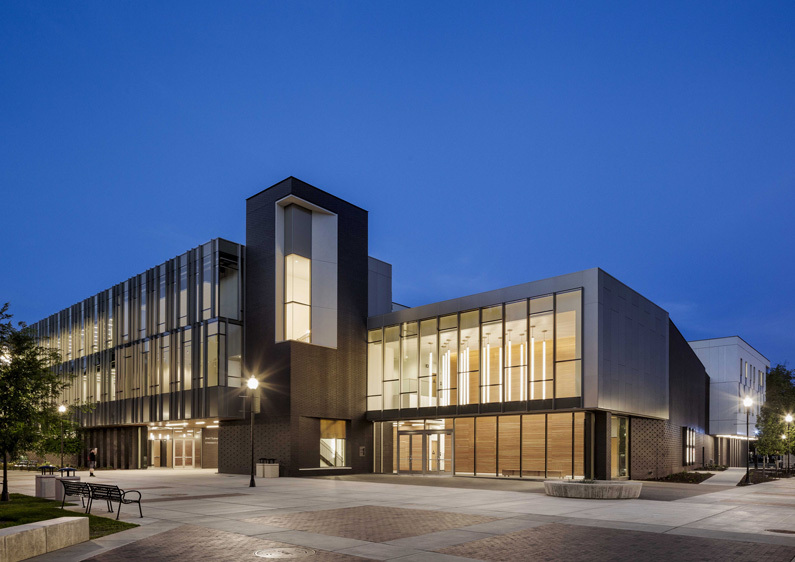 The new 93,000 sf Arts & Humanities Building at Chico State provides new academic and arts facilities, including classrooms, faculty offices, a dance recital hall, art, ceramics and glass studios, and the University Art Gallery. The heart of the complex is the central courtyard. 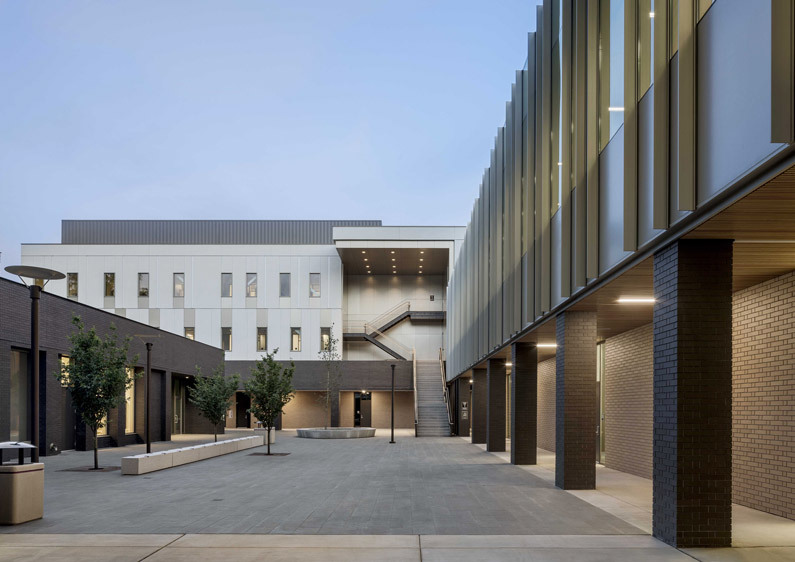 Modeled on a traditional academic cloister, the space serves as the forecourt to five large lecture halls and the ceramics and glass studios. Paved with basalt flagstones, the courtyard is anchored by a specimen Oregon Oak. Sierra white granite benches provide seating throughout the courtyard. Flowering Cherry trees recall the campus connection to the Bidwell Estate and provide additional shade and seasonal interest. Streetscape improvements to Normal and First Streets tie the project into the campus fabric and serve as important gateways between the campus and downtown Chico.